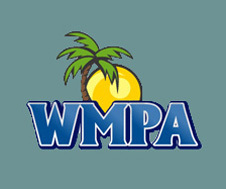 WMPA is a non-profit organization incorporated in the State of Hawaii dedicated to preserving, protecting and restoring the natural and cultural environment of West Maui including Land Conservation and educational activities related thereto. The county's use of injection wells at the Lahaina Wastewater Reclamation Facility in West Maui violates the federal Clean Water Act according to a federal district court ruling on Friday, the environmental law firm Earthjustice announced. Earthjustice reports that the court concluded that most of the three to five million gallons of wastewater that is injected into the wells each day flows through groundwater and emerges offshore of the popular Kahekili Beach Park. County Communications Director Rod Antone responded to the news saying, "Although we respect the court's decision we are still reviewing the court's ruling and evaluating our options." The lawsuit, filed by Earthjustice in April of 2012 on behalf of the Hawai'i Wildlife Fund, Surfrider Foundation, West Maui Preservation Association, and Sierra Club-Maui Group, claimed that "wastewater-laden groundwater" from the injection wells, "substantially affects the physical, chemical, and biological integrity of the ocean water." According to Earthjustice, the court noted that "the coral reefs near the submarine seeps have been subject to algal blooms that have led to a decline in coral cover from 55% to 33% between 1994 and 2006." Earthjustice attorney David Henkin said that under the Clean Water Act, "Maximum penalties in this case already exceed $100 million," and he said, "the meter is ticking at a rate of over $100,000 per day. It's time for the county to stop dragging its feet and fix this problem." Lucienne de Naie, Conservation Chair of Sierra Club Maui: "For years before we went to court, the plaintiffs and other concerned Maui residents had meeting after meeting with the county and tried to convince our public officials to take seriously the threat to our marine environment and public health from the Lahaina injection wells. It's frustrating that they refused to listen to us, forcing us to go to court, but we are happy the judge understands the gravity of the situation." Hannah Bernard of Hawai'i Wildlife Fund: "With elevated nutrients, acidity and temperature, combined with its low salinity and oxygen, the county's wastewater is, sadly, a perfect recipe for destroying Kahekili's coral reefs, the dramatic decline of this once pristine marine environment is just heartbreaking. The county needs to take immediate steps to save what's left." Angela Howe of Surfrider Foundation: "Destroying coral isn't the only problem the injection wells cause. The county's wastewater contains chemicals like pharmaceuticals and fire retardants that also travel from the injection wells into nearshore waters, threatening local residents and tourists swimming and surfing at Kahekili Beach." Lance D. Collins of West Maui Preservation Association: "With West Maui in a near permanent drought, the county should be re-using the millions of gallons of wastewater from the Lahaina facility to meet the needs of golf courses, resorts, and other developments, not dumping it onto our reefs." According to information released by Earthjustice, the court will impose civil penalties for the county's violations following a hearing set for March 17, 2015. © copyright 2005 West Maui Preservation Association, Inc. A non-profit corporation.